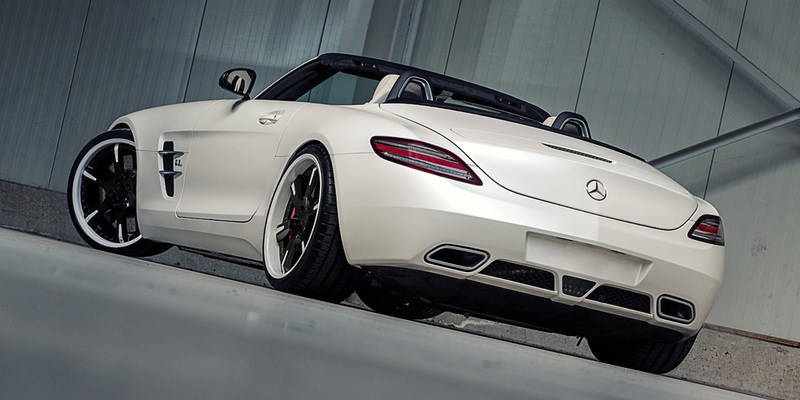 Mercedes has a long history of AMG models in their arsenal. They managed to come up with one car after the other each being better and faster than the next. During the Paris Moto Show we certainly expected from Mercedes to dazzle us, but they actually managed to do something even better and greater. The 2014 Mercedes AMG has perhaps stolen the highlight of the Paris Show and managed to exemplify Mercedes’ unique manner of manufacturing. This is in fact the best supercar that Mercedes has managed to produce and everyone agrees that if they want to do something better than this they will have to do something spectacular. But, they went on and did something we actually could not anticipate, the Night Package. Instead of producing a new car they went on to come up with the 2015 Mercedes-AMG GT Night Package version. This car is far superior in its looks than the already perfect version of the 2014 model. The GT now incorporates a menacing and an aggressive style, which although the previous car possessed, it did not have enough of. The Night Package is certainly the best way to go for the GT vehicle and we can’t wait to see what next is going to be instored from the Mercedes AMG GT line. Let’s get something cleared first. According to http://newcarsreleasedates.com/ the Night Package is mainly an aesthetic upgrade. The car gets a new look with its incorporation whereas the engine specs remain the same. The new optional package from Mercedes is characterized by offering a ton of personalized features and details. The changes incorporated include a high-gloss black finish to the front splitter which is now combined with a diamond front grille. This immediately tweaks up the vehicle’s aggressive look and makes it angrier. The changes continue with air intake and outtake grilles matted car’s hood and fender, which only further builds upon the vehicle’s menace. To add a bit more mystery and a “stranger-like” tone to the car, also added are tinted windows and glossy black mirror casings. Gazing at the car with these add-ons only makes the attitude of it more serious. The car is now very dark and mysterious looking and the pair of the new included black exhaust pipes at the back conclude its new look. So suffice to say is that the car includes more black parts to it, which is why they call it the Night Package. But this package is a perfect look for the 2015 Mercedes GT vehicle. The car already packs a mean punch in terms of its performance and the massive roar which the engine makes can now be justified with the new design of the vehicle. The newly dark and mysterious Night Package is a great combination for this vehicle. Mercedes has also announced that the Night Package is going to be available for the AMG GT base model and the more powerful AMG GT S model, unfortunately this is only a standalone package and cannot be combined with other optional packages which Mercedes has produced. The powerful built of the engine was perhaps the reason why the Night Package was introduced. The 2014 GT model was endowed with a very powerful trim, the only thing it needed were to looks to go with the horsepower the engine was managed to produce. The 2015 Mercedes-AMG GT Night Package will for those reasons feature the same engine which was used for the original car. The base model includes a 4.0-liter V-8, which produces 443 pound-feet of torque and 450 horsepower. The car reaches a speed of 60 mph in no less than 3.9 seconds and has a top speed of 189 mph. If we take into account the stronger AMG GT S version, which we are talking about a 4.0-liter V-8 engine with 479 pound-feet of torque and 503 horsepower. This trim accelerates from 0 to 60 in 3.7 seconds and has a top speed of 193 mph.